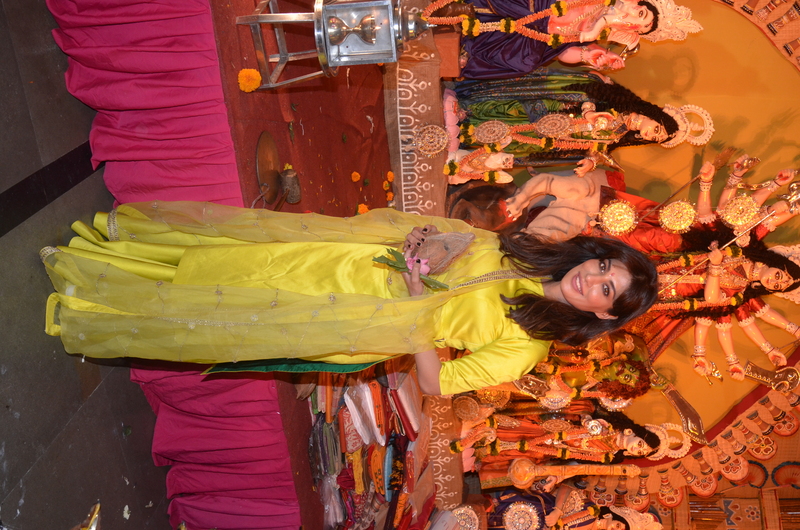 Actress Chitrangda Singh visited the Durga Bairi Samiti at Sheth Gokuldas tejpal Hall, last evening to join in the celebrations of the Maha Ashtami of the Navratri Festival. 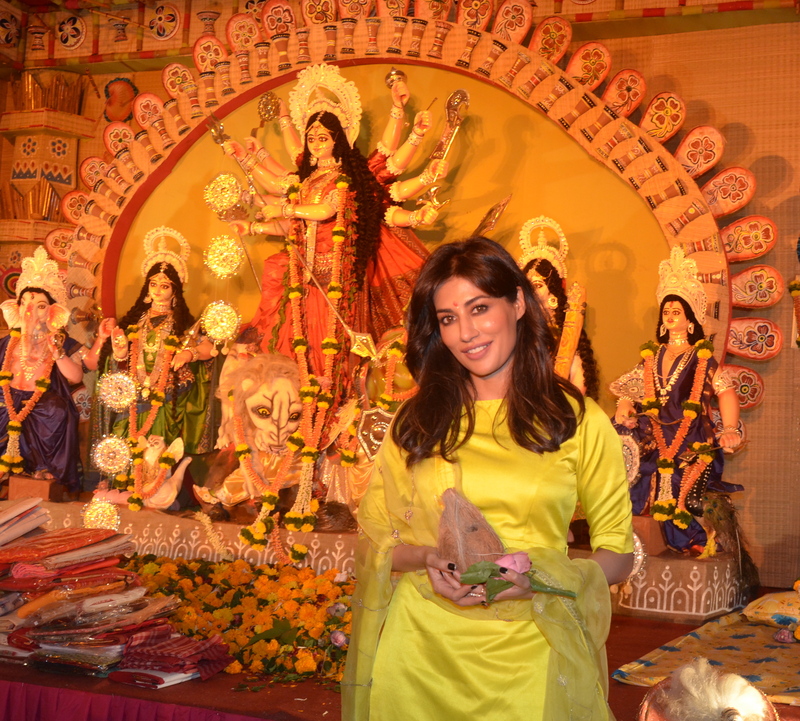 The Durga Bari Samiti organises this pujo annually and is one of the oldest in the city. It began in the 1930s and is now celebrating its 89thyear. The eco friendly statue was made of clay with water soluble colours being used. The pandal too will not have any plastic, thermocol or varnish. 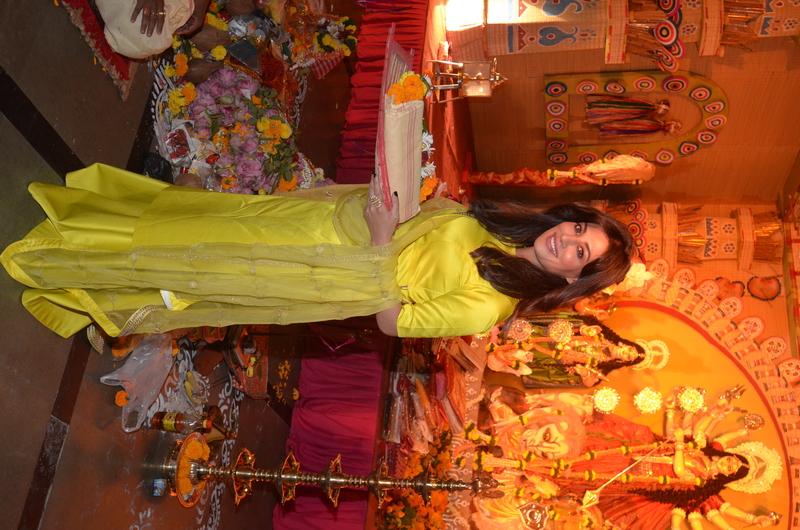 Chitrangda offered a tray containing a beautiful traditional saree and flowers to the Devi and joined in the Sandhya Puja.